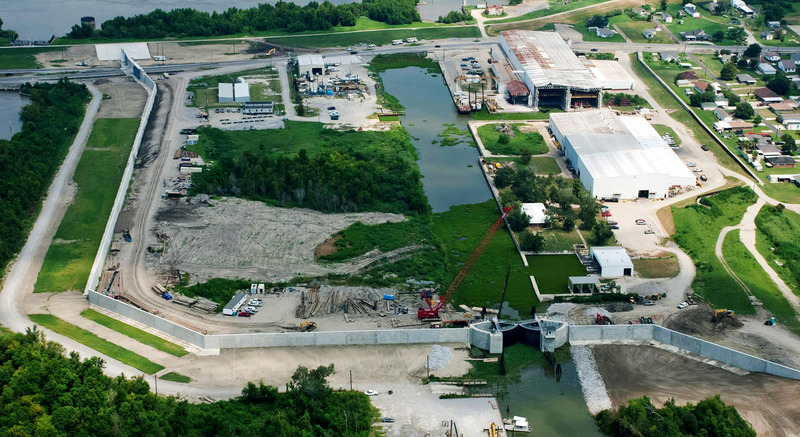 Conti Federal Services has completed work on two more critical projects for USACE New Orleans: the Southeast Louisiana Urban Flood Control Project (SELA 07b) and the Mississippi River Levee Reconstruction Project (WBV-MRL 4.2), both of which provide upgrades to Louisiana’s flood protection systems. Completion of these projects marks the continuation of Conti’s long term program to support flood control measures in New Orleans, an effort that dates back to 2010 and includes projects involving floodwalls (such as the award winning LPV-149 floodwall and floodgate construction project), storm water drainage and utility networks. The firm plans to continue expanding on this experience by developing similar projects across the country.